If you are a publisher with audiobooks, audio plays or podcasts you wish to sell through the Audiobooks On Tape site, get in contact with us. Our site offers a new way for your audio to get to your customers. Taking a step back from the digital-only approach that is taken by today’s largest distributors, our model provides users with a physical item them can collect and use. 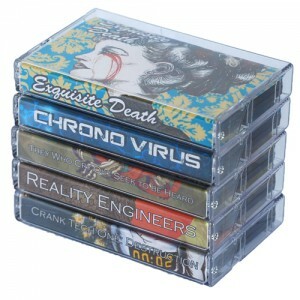 The nostalgic feel of ‘books on tape’ combined with the retro feel of a physical cassette tape interests both younger and older audio listers alike. Digital downloads are provided as a back up to our USB sticks allowing a user to always get access to audio they have bought if they happen to lose or delete their USB stick. We offer publishers a fair non-exclusive distribution agreement, beating that offered by sites like Audible where a 25% royalty rate is normal.